Dream Theatre Launches Power Rangers Samurai Merchandise in India! Mumbai: Dream Theatre, the Brand management and licensing enterprise based in Mumbai is all set to launch a merchandise range based on the action –adventure series Power Rangers Samurai in India. The long-time running hit show owned by Saban Brands is telecast on both Nickelodeon and Sonic and enjoys a big fan following. The New Power Rangers Samurai collection targeted at audiences between ages 4 – 14 years, ranges from Toys, Apparel, Footwear and Publishing to Sporting goods like Skateboards and Cycles. The price range of Back to school supplies is Rs. 150 – Rs. 350; School Bags are available between Rs. 500 – Rs. 1500, Sporting Goods are priced between Rs. 900 – Rs. 2500 and the toys range is available from Rs. 300 upwards. The publishing program includes story and activity books, priced between Rs. 250 – Rs. 450. The Kids’ apparel range is priced between Rs. 499 – Rs. 649 and will be complimented by an exciting footwear collection priced between Rs. 299 – Rs 749. 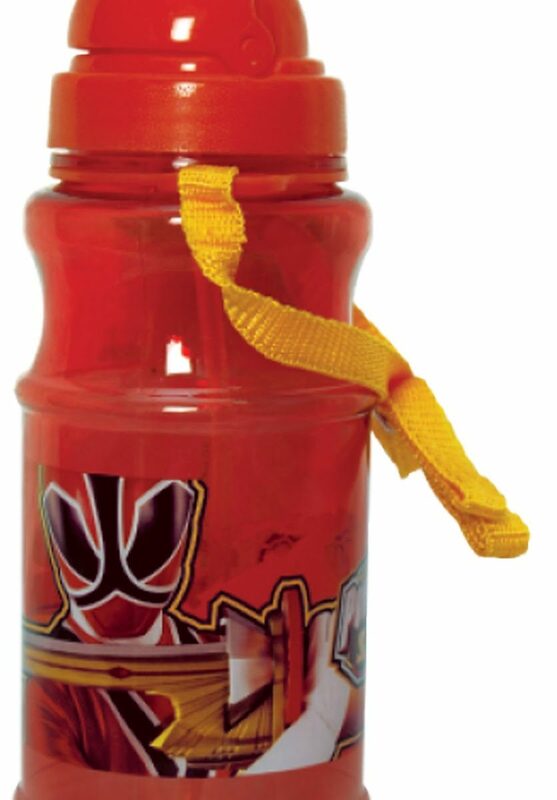 School can now be much more fun with kids carrying their favourite Super heros in the form of Water Bottles. Now you can also play with the Power Rangers. Skate on the fabulaous collection of Scateboards designed especially for kids. Playing has now become much more exciting with Power Ranger Scooterettes. Now have loads of fun rides with friends and enjoy every bit of the excitement. The collection will be available at 800 plus outlets across India which includes stand-alone stores and large format stores like Lifestyle, Shoppers Stop, Hypercity, Pantaloon, Central, Crossword, Landmark and Hamleys amongst others. The Power Rangers franchise launched in 1993 with “Mighty Morphin Power Rangers” and is entering its 20th anniversary year in 2013. Dream Theatre is the agency appointed by Saban Brands and represents Power Rangers Samurai in India for Licensing and Merchandising. This November, Dream Theatre Pvt Ltd is all set to be part of Saban’s ‘power’ful reach and success. Power Rangers airs Monday – Friday at 7.00pm on Sonic and 4.00pm Saturday – Sunday on Nickelodeon.